Size: 63.5x8.5 inches. 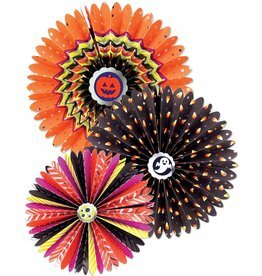 Halloween Black Widow Garland. Made of black flexible polyethylene foam material. Two's Company Fine Decorative Home Accents and Gifts. Size: 60L inches. Eva Bat Garland. One of our favorites! Mark Roberts Halloween Decorations and Decor Collection. Size: 60 inches. 5ft Vintage Halloween Retro Style Skeleton Heads Skull Party Garland. Halloween Party Decorations and Themed Halloween Decor by Kurt S. Adler.